New Zealand companies will find it easier to meet reporting requirements in the EU, as their local auditors will soon be recognized in Europe. In a statement issued on August 30th the Minister of Commerce and Consumer Affairs Paul Goldsmith announced that the European Union has taken the decision that New Zealand auditors shall be recognized in the EU. 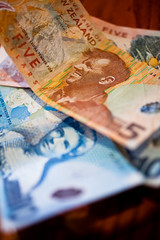 Australia and New Zealand could synchronize their carbon tax systems in the future, unless the tax is repealed in Australia following the upcoming election. 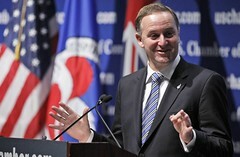 Speaking in a radio interview on June 2nd, the Prime Minister of New Zealand John Key said that New Zealand and Australia could harmonize their carbon tax systems in the future in order to improve the operational efficiency of the taxes across both countries. 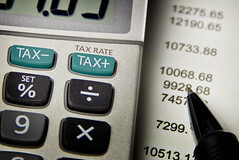 John Key explained that the New Zealand carbon tax system and the Australian carbon tax systems were originally designed to work in unison and could take full advantage of the two country’s close economic relationship. New Zealand has a policy framework and regulations that actively encourage economic openness and resilience, leading the country to be ranked as having the fourth freest economy in the world. 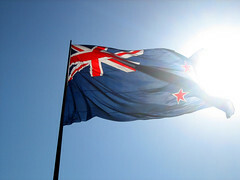 According to the Index for Economic Freedom for 2012, published by the Heritage Foundation and the Wall Street Journal on January 12th and examining economic conditions and market regulations in countries around the world, in 2011 New Zealand was ranked the 4th country in the world for its market freedom, regulatory efficiency, the role of government in the market, freedom from corruption and the effectiveness of the legal system.